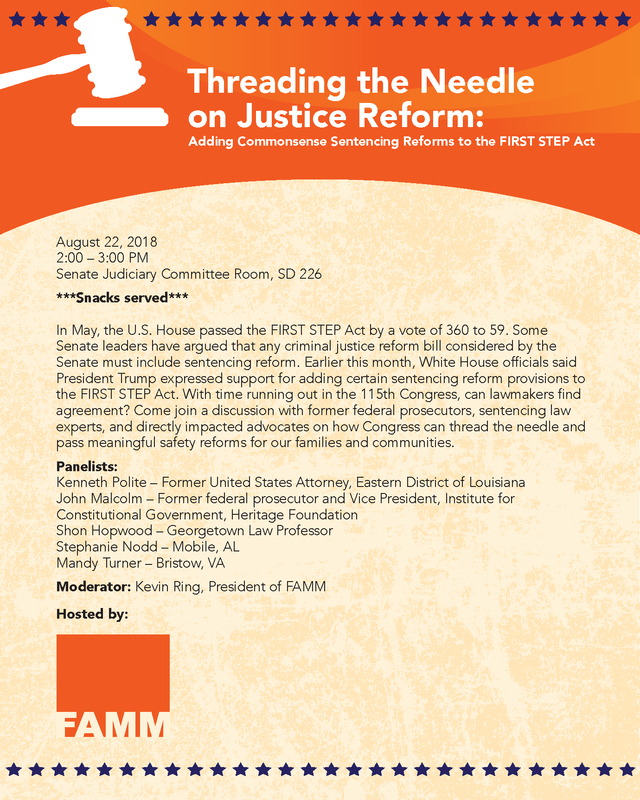 WASHINGTON—On Wednesday, August 22, FAMM will host a briefing with former federal prosecutors, sentencing law experts, and directly impacted advocates on how Congress can add meaningful sentencing reform provisions to the FIRST STEP Act. When: August 22, 2018, 2:00-3:30 p.m.
Stephanie Nodd, advocate, Mobile, Ala.
Mandy Richards, advocate, Bristow, Va.
Additional background: In May, the U.S. House passed the FIRST STEP Act by a vote of 360 to 59. The bill now awaits a vote in the Senate. Some Senate leaders have argued that any criminal justice reform bill considered by the Senate must include sentencing reform. Earlier this month, White House officials said President Trump expressed support for adding certain sentencing reform provisions to the FIRST STEP Act. With time running out in the 115th Congress, can lawmakers find agreement? 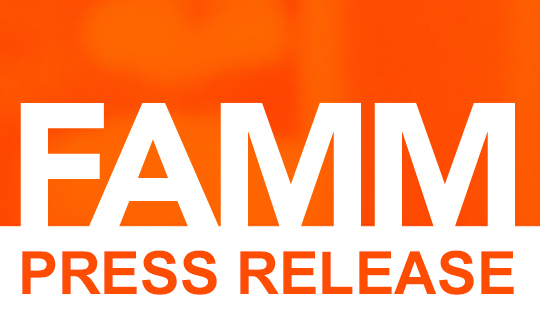 If you are interested in attending the event, please contact Rabiah Burks at rburks@famm.org.